Robert Woodberry directs the Project on Religion and Economic Change and is a senior research professor at Baylor University. Woodberry previously was an associate professor of political science at the National University of Singapore. A sociologist specializing in the impact of religion on political development and economic change, Woodberry's work has analyzed the long-term social, political, and economic impact of Protestant missionary activity in Asia, Africa, and Latin America. 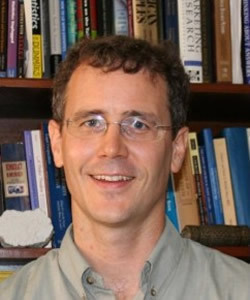 This research resulted in his seminal article “The Missionary Roots of Liberal Democracy”; it was published in the American Political Science Review in May 2012 and won the American Political Science Association’s 2013 Luebbert Best Article Award, given for the best article in the field of comparative politics published in the previous two years. From 2011 to 2016, he was an associate scholar with the Berkley Center's Religious Freedom Project. Woodberry holds a Ph.D. from the University of North Carolina at Chapel Hill.